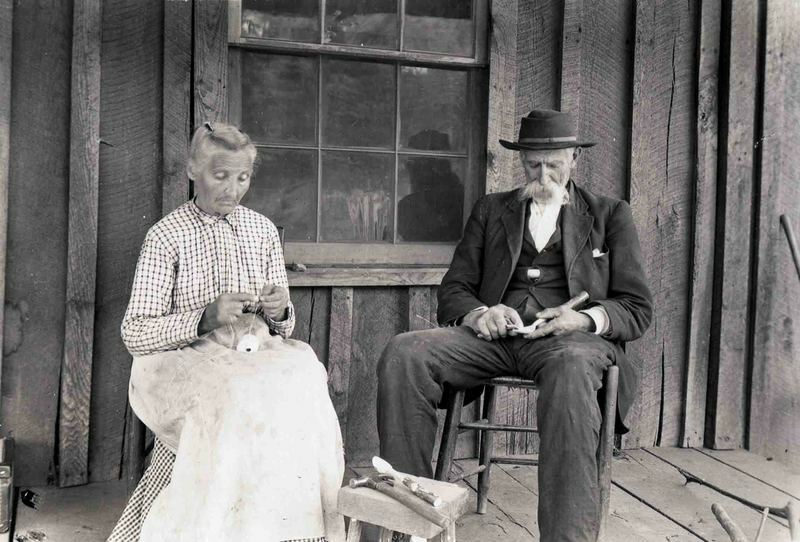 Mrs. Erwood tatting and Mr. Erwood whittling spoons. Near Fletcher, North Carolina, ca. 1915.